The feed store is a popular stop in this rural town, and they have all the supplies you’ll need for your farm and garden. 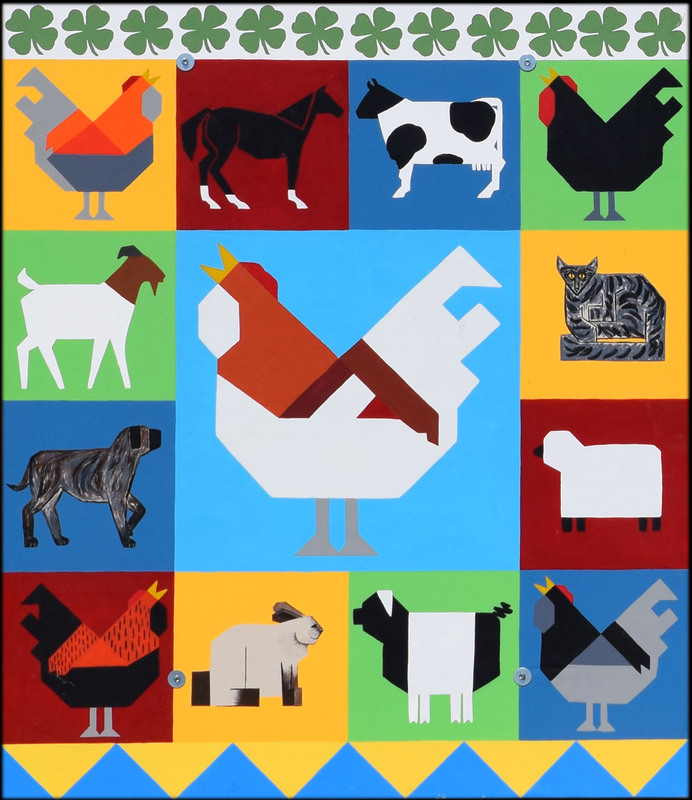 The quilt block sports all of the critters that the store feeds, and a lot of fine hand painting by artist Sharon King added a lot of character to the animals on this very special block. 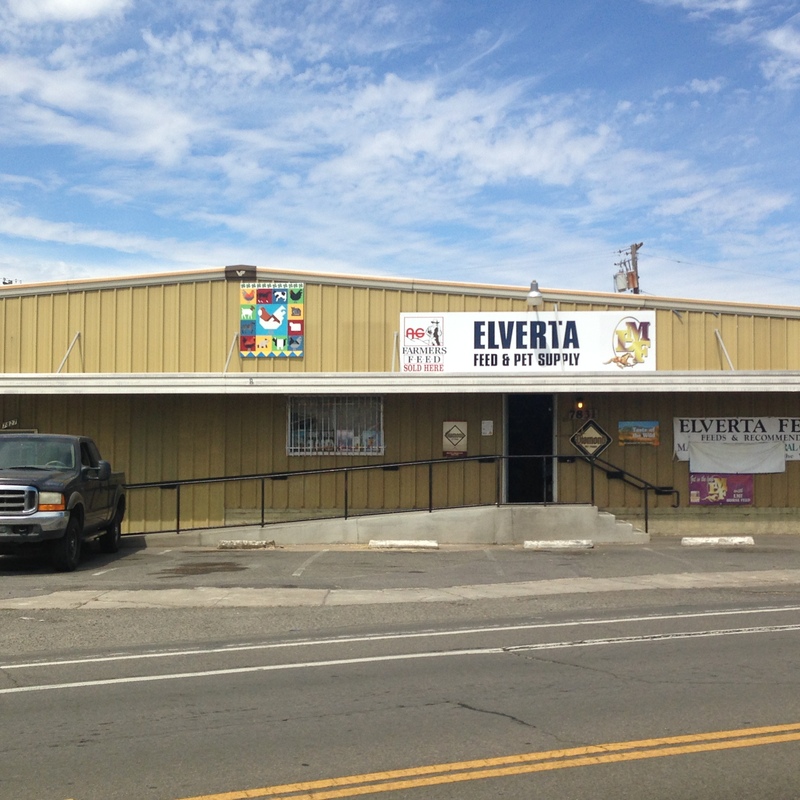 Swing by the store on Rio Linda Blvd., just north of Elkhorn. When the Crowes wanted to expand their garden into a farm, they found a place with plenty of room for animals just up the street from the house where Debra grew up. The Lazy Crow, like many old farms in the area, has become a Rio Linda homestead, with lambs, goats, a large garden, and chickens, of course. 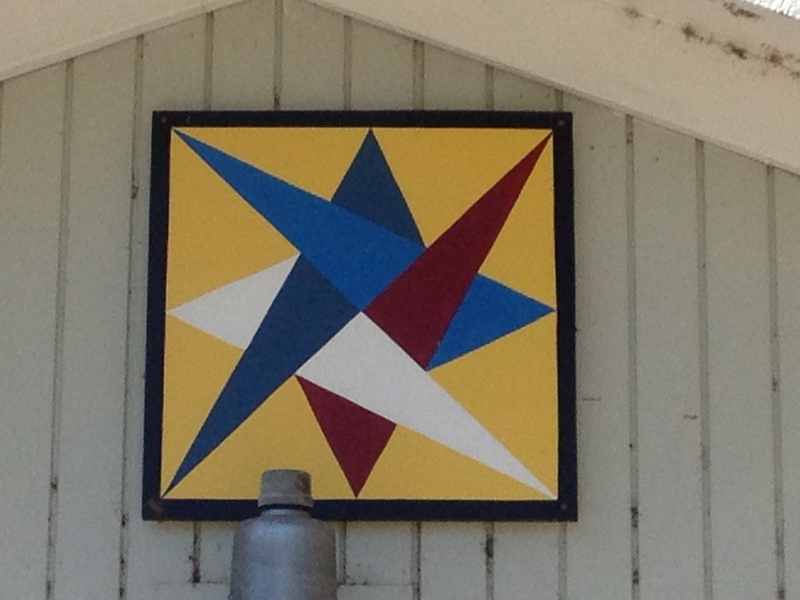 Debra Crowe, founder of the Rio Linda Elverta Quilt Trail Project, couldn’t wait to design her own quilt blocks after seeing barn quilts on a trip to Nebraska. 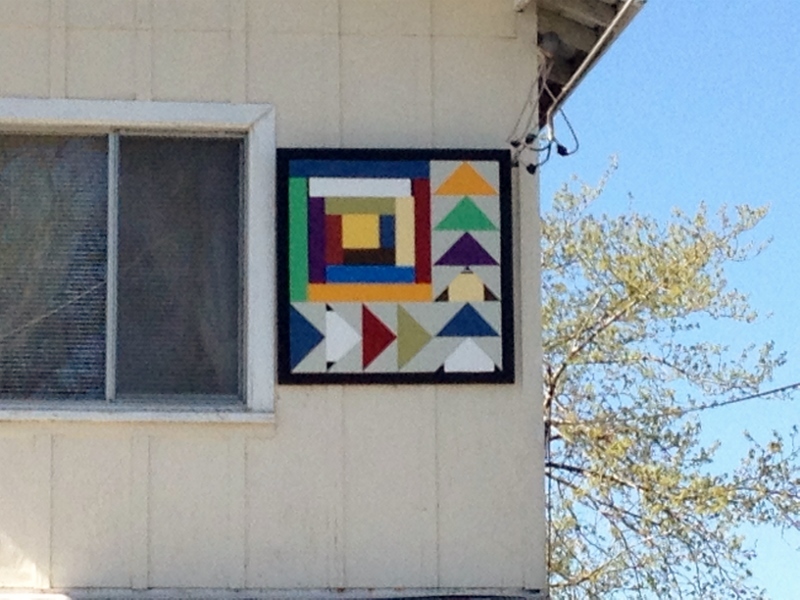 The large shop next to her house quickly became headquarters for the Project, and quilt blocks are now popping up all over town. 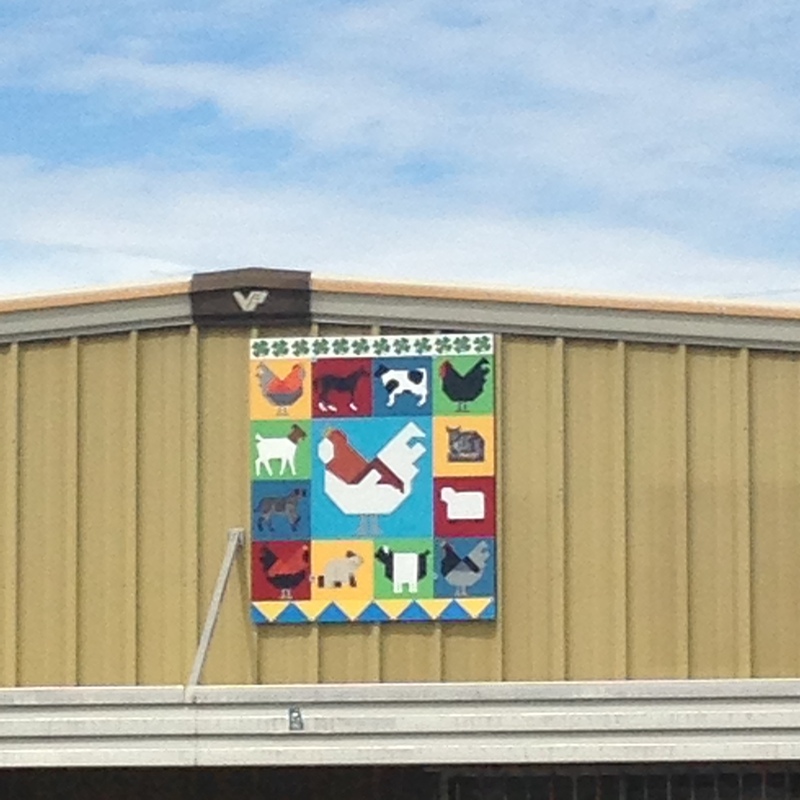 The Rio Linda Chicken quilt block represents Rio Linda’s history as a major egg and poultry producer, and the wide variety of local chicken breeds and colors. 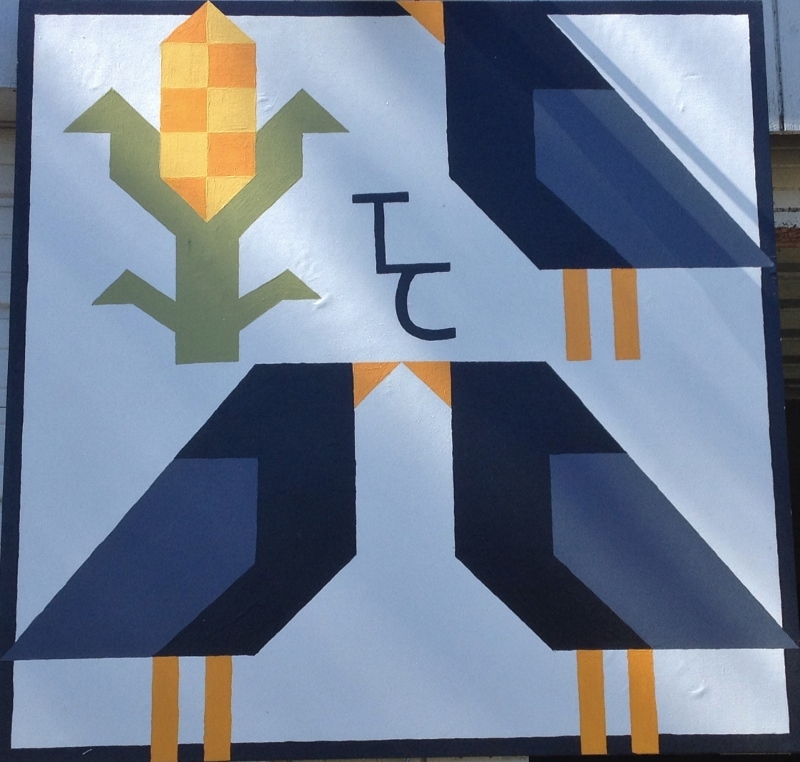 Corn and Crows was inspired by a quilt made by her mother, Barbara, and represents the the three members of the Crowe family and their farm. Interlocking Triangles makes a fine addition to the home’s entrance on West 4th Street. A Log Cabin with a warm hearth, surrounded by Flying Geese, and The Road to California helps tell Barbara Florian’s story. 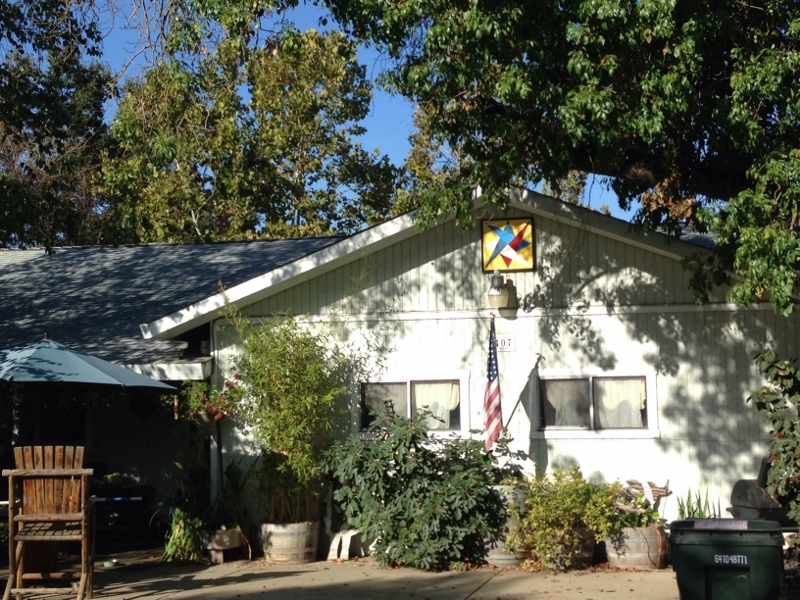 Moving to Rio Linda from Nebraska in 1967, the eight members of the Florian family settled into one of the original farm houses in the area. The blue strip in The Road to California represents the Air Force, and Vince Florian’s long military career. Barbara, a master quilter and member of the Rio Linda Elverta Elder Craftsmen, often escapes to the mountains to enjoy the peace and quiet by the hearth in her own cabin high in the Sierra Nevada. 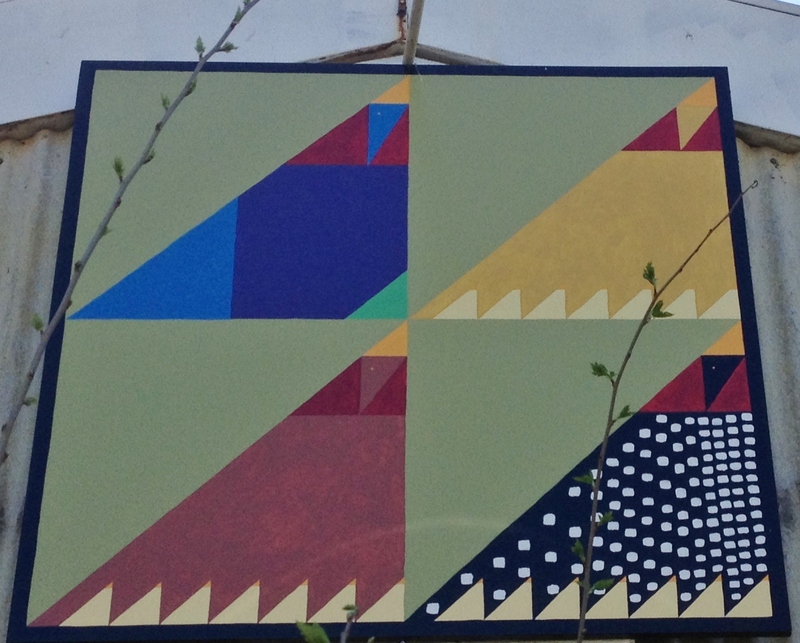 Inspired by quilt blocks along the Lake County Quilt Trail, Ken Tomlison went a step further with a 70s’ style blacklight poster, complete with fluorescent neon paint. 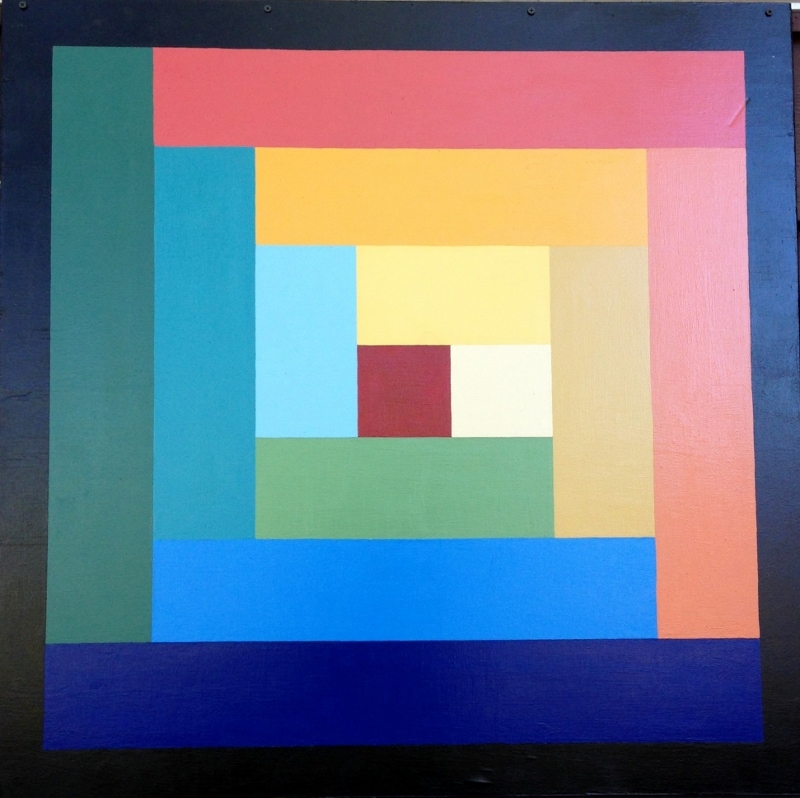 Anna Marie and Ken chose Captital T to represent the four Tomlinsons, each in their own favorite color. The family wanted more space and a few acres when they moved from the caretaker’s house at the Sterling Caviar fish farm in 1997. “We found a piece of paradise on Eden Lane,” says Anna Marie. Her cobalt blue T matches the trim on her house as well as her collection of cobalt blue glass in her kitchen. The best view is from 2nd Street, just south of Eden Lane. Drive by after dark to see the blacklight effect. 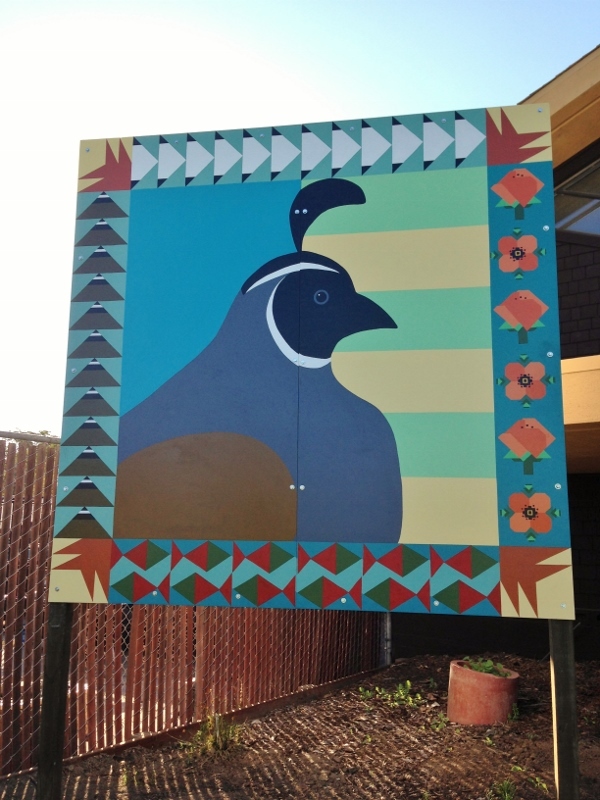 Quail, poppies, turkey tracks, Canada geese, Snow Geese, and Salmon are just a few of Rio Linda’s natural attractions, and the Rio Linda Elverta Parks and Recreation District are hard at work preserving them. 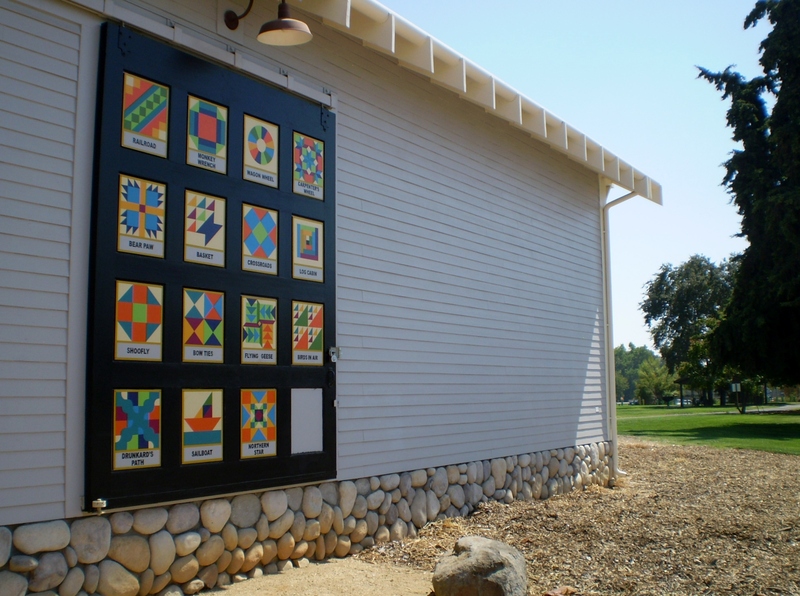 This large quilt block now decorates the Rio Linda Community Center at Depot Park. 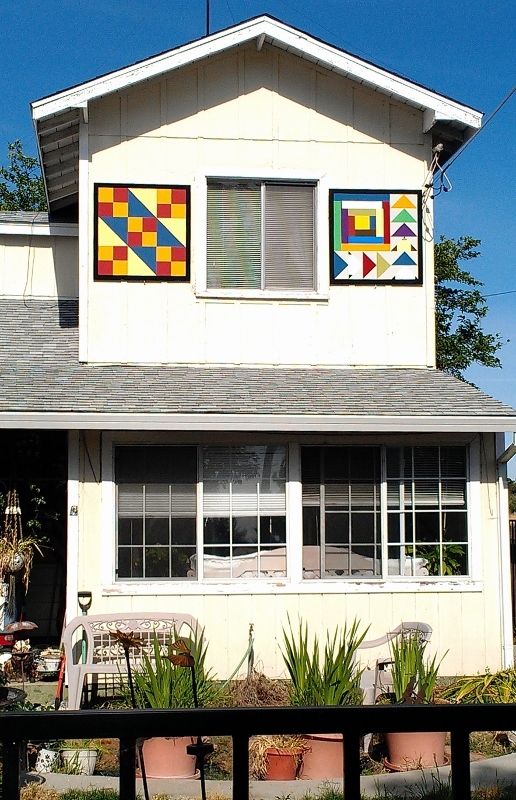 Pat and Hank Day’s house makes a fine addition to the Quilt Trail at 852 Q Street in Rio Linda. Pat, a long time quilter and leader of the Rio Linda Elverta Elder Craftsmen, chose the traditional Log Cabin design because it represents the warmth of home. 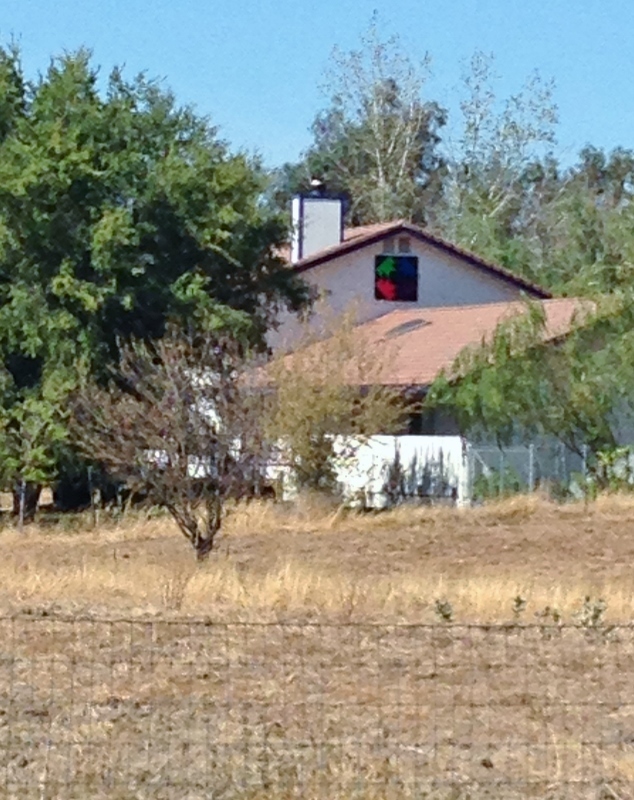 Pat and Hank picked their house many years ago to be near Rio Linda’s schools. 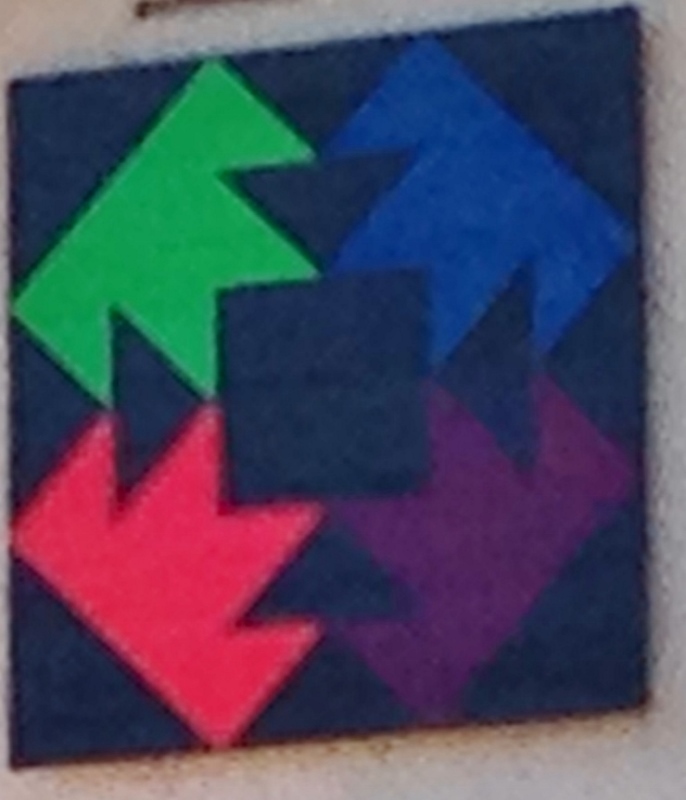 There is a wide parking spot across the street if you want a look at the Day’s quilt block. Prior to the Civil War, quilts played an important part in the Underground Railroad movement. African-Americans followed secret routes and safe houses from southern slave states north to free states and Canada. Travelers and plantation visitors passed information to slaves about the routes, and helped them prepare for their journeys. Quilts were hung on clotheslines and fences as messages to escaping slaves about food, shelter, and directions along the way. Many routes were followed north, and all routes are known collectively as the Underground Railroad. 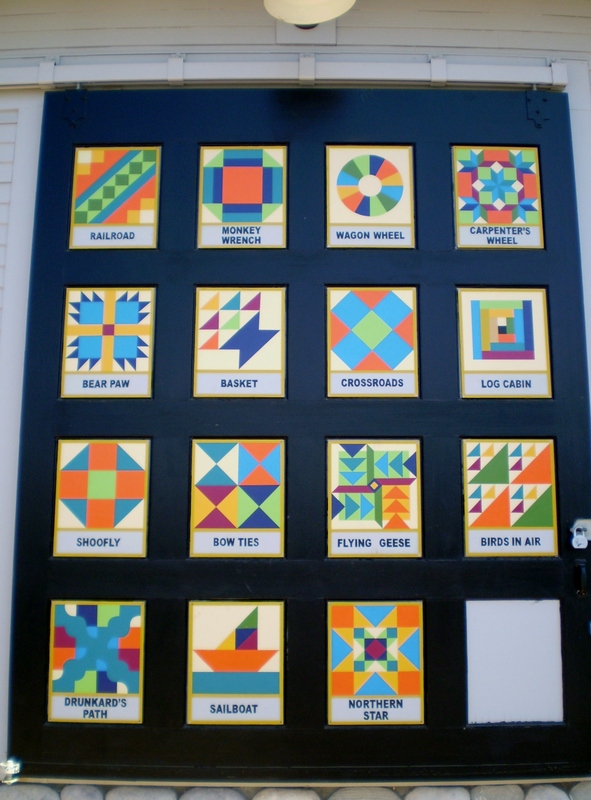 The designs chosen for the Sacramento Northern Railway Rio Linda station Underground Railroad Quilt Block Code depict just a few of many symbols used to signal safe passage to escaping slaves. Railroad─Our first block represents the Underground Railroad movement, as well as the trip from Sacramento to Rio Linda on the train. Passengers enjoyed viewing fields of wild poppies along the way. Monkey Wrench─Symbolizes the blacksmiths, who visited farms and knew the lay of the land. Some could communicate with slaves through the rhythmic beating of a hammer on an anvil. The Monkey Wrench quilt was the first signal to slaves, and meant that it was time to collect tools and knowledge for the journey north. Wagon Wheel─Wagon Wheel quilts were displayed as signals to pack essential items. Wagons with hidden compartments were one of the primary ways to transport escaping slaves and carry them to freedom. Carpenter’s Wheel─Future run-away slaves planned their escapes when they saw the Carpenter’s Wheel displayed. Following the Wheel to the west-northwest, they made their way to Ohio and freedom. Bears Paw─This design advised escapees to follow animal trails through the mountains, and lead them to food and water. Crossroads─ Once through the mountains, slaves were to travel to the crossroads. The main crossroads was Cleveland, Ohio. Any quilt hung before this one would have given directions to Ohio. Basket─The Basket symbolizes the provisions needed for the long journey North. Because they couldn’t buy food or tools along the way, slaves carried baskets with them. Women commonly carried laundry baskets full of provisions to safe houses. Log Cabin­─The center block in this pattern often represented the hearth or fire of a cabin. A yellow center could mean a light or beacon, and a black center indicated a “safe” house. Birds in the Air─This design was created by a Quaker woman, using quilted “birds” to create arrows that pointed toward a safe house in Lancaster County, Pennsylvania. Drunkard’s Path─Advises slaves to use a crooked, or staggering path, on their flight to freedom to avoid detection by slave hunters. Sail Boat─Black sailors and ship owners helped many slaves reach the free states and Canada. North Star─Signaled travelers to follow the North Star. Shoofly─Identifies a friendly guide who is nearby and can help. Bowties─Signaled travelers to dress in disguise, or put on a change of clothes. Flying Geese─The points were meant to follow that direction, such as where geese would fly during spring migration. 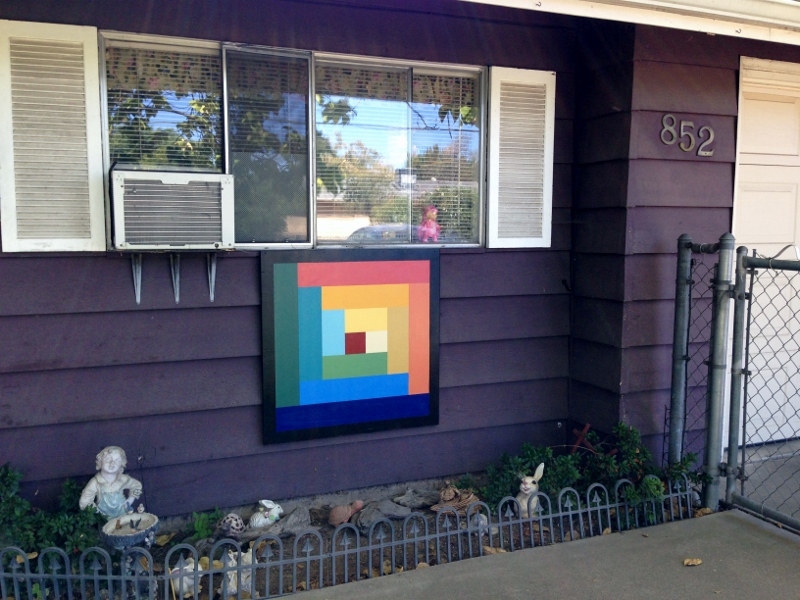 Members of the Rio Linda Elverta Quilt Trail Project are grateful for the opportunity to create this public art project. For more information about the Project, visit our website at RLEquilttrail.com. For more information about the Underground Railroad movement, visit pathways.thinkport.org.